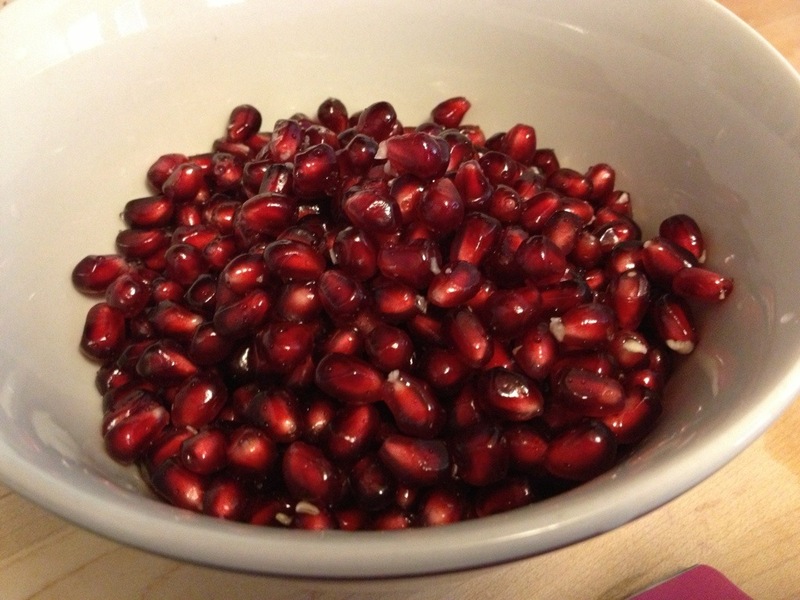 Pomegranate season is here! I love to eat them but how the heck do you deseed these little stinkers? 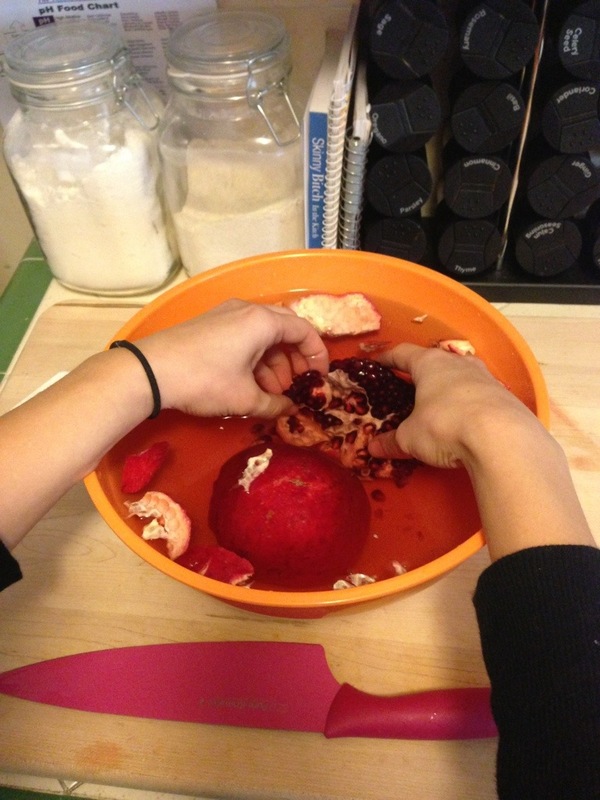 During my first experience deseeding a pomegranate, I wore a white shirt. Needless to say, that shirt was covered in red juice and is long gone now. 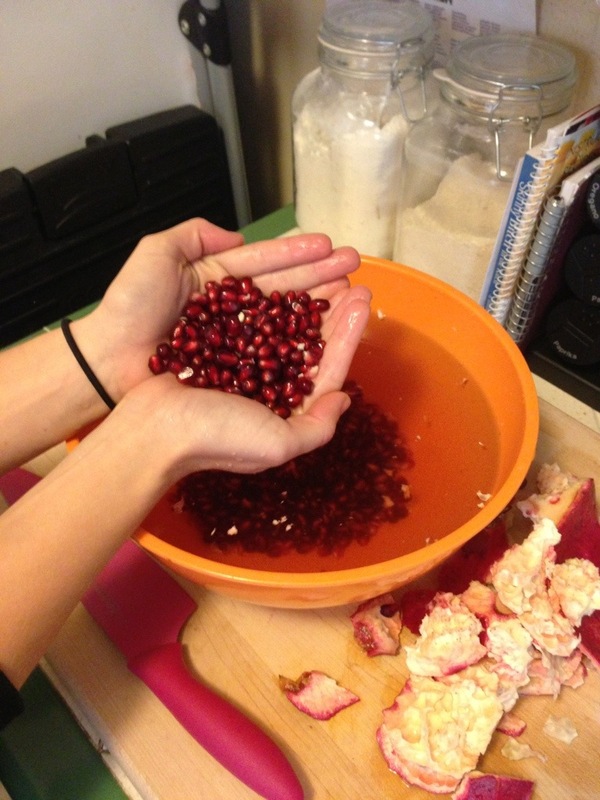 I didn’t buy another whole pomegranate for 3 years because of the mess I made! Well, I’ve learned a great and clean way to deseed this yummy treat. 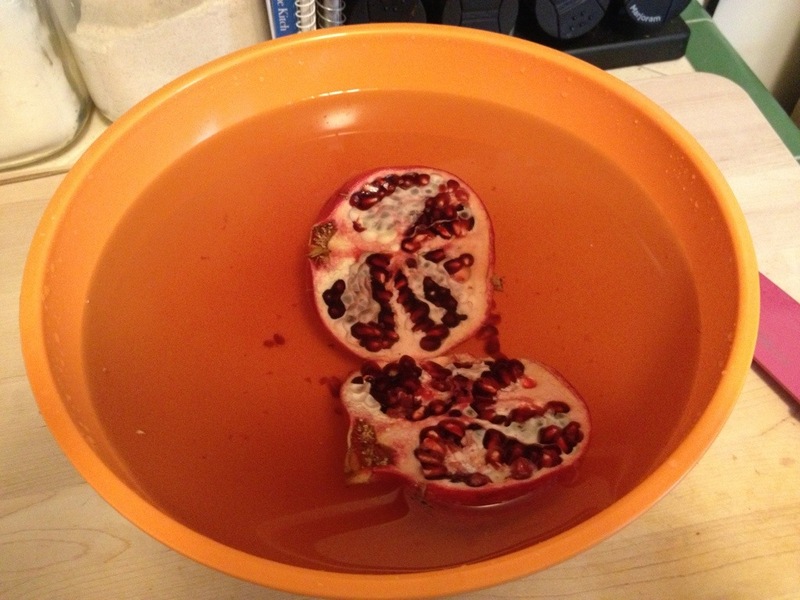 Fill a bowl with water and place pomegranate inside cut in half. Underwater, start to loosen seeds with your finger. The seeds will fall to the bottom and the membrane will float up. Discard the membrane. Strain water and enjoy! Benefits of Pomegranates: High in antioxidants, lowers risk of heart disease and cancer (particularly breast and prostate cancer), lessens symptoms of diarrhea, reduces bad cholesterol, controls weight, increases oxygen levels to the heart, fights cell damage, and is being tested for treatment and prevention of Alzheimer’s.